HP: “Charles would like a new nickname other than Sir Charles, but Sam and Spike’s suggestions aren’t exactly what he had in mind”. Msg: Capital One – What’s in your wallet? 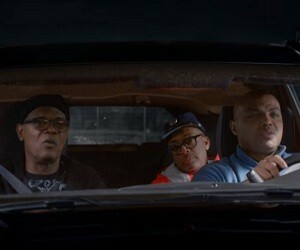 Starring Samuel L. Jackson, Charles Barkley & Spike Lee. I think I want a new nickname. And what’s wrong with “Sir Charles”? I don’t know, but I need something fresh. Oh, the Round Mound of Sit Around! You know what, I’m good. Well, what you want to call yourself Chuck? keep your eyes on the road, man.